Why just have plastic surgery to fix or improve something when you can completely transform into someone else? These people are very perseverant and have quite a decisive personality. They have all undergone surgery to look like somebody else, be it an idol or an animal. But do you think they took things too far, or are simply looking for perfection? 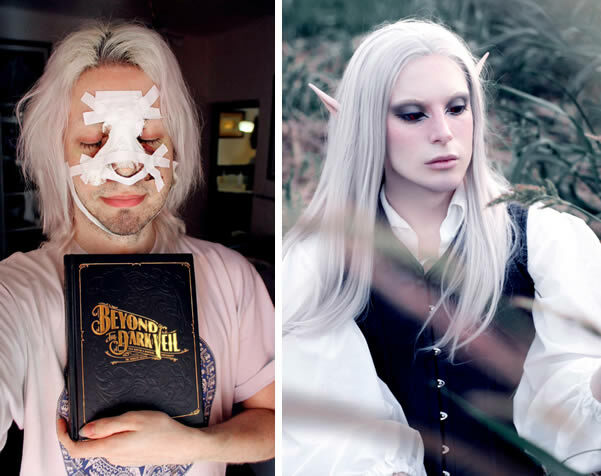 Luis Padron, from Buenos Aires, Argentina, is completely determined to spend all his money on looking like an elf. Skin and hair bleaching, liposuction, and a nose job are among the procedures he underwent for this purpose. This is fan art taken to a whole other level! 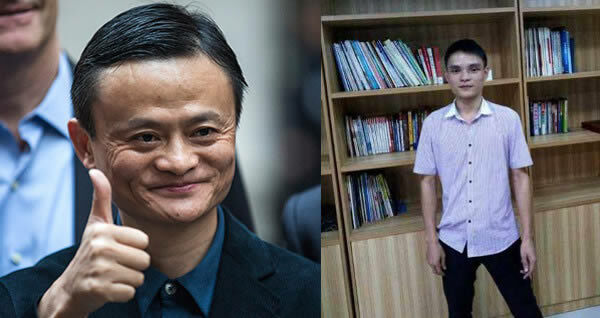 Huang Jian, a resident of Shenzhen, China, admires his idol Jack Ma so much that he decided he had to find a way to look just like him. Enters countless surgeries and treatments, and voila! Ma is a wealthy Chinese millionaire known as the founder of the Alibaba Group. Manga has an extremely serious number of followers in the east and Nozomi, a vlogger from Tokyo, has undergone a couple of transformations that have made her look like a real life manga girl. American Bryan Ray is so committed to her idol, Britney Spears, that he spent a whooping $80,000 over the last 14 years to look like her. His obsession is not only physical, since he’s also learned Britney’s choreographies, can lip sync her songs and has taught himself how to talk and gesture like The Princess of Pop herself. Needless to say, Bryan is “not that innocent” when it comes to surgeries and putting up with pain to get all the gain! 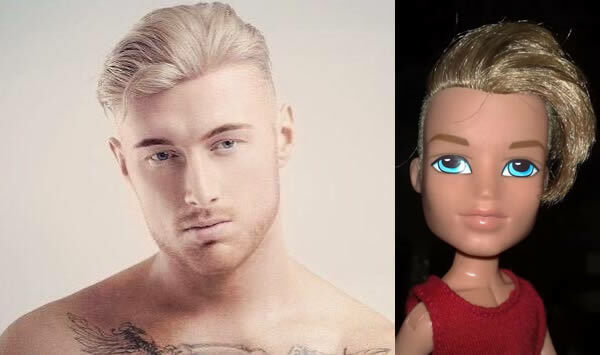 Grant Coulson has had fillers, acne scars removed, and is hoping to get a nose job to become a real life man doll. He doesn’t have a specific doll in mind, like say, Ken, but he surely is committed to looking as “plastic” and flawless as possible. Texan Tiffany Taylor, aged 33, is determined to look like President Trump’s daughter, the beautiful Ivanka Trump. Will she get there? She has spent $600,000 on plastic surgery, with some of her procedures being invasive AF, she sure has the determination (and money) to get there! David Beckham or Kim-Jong Un? 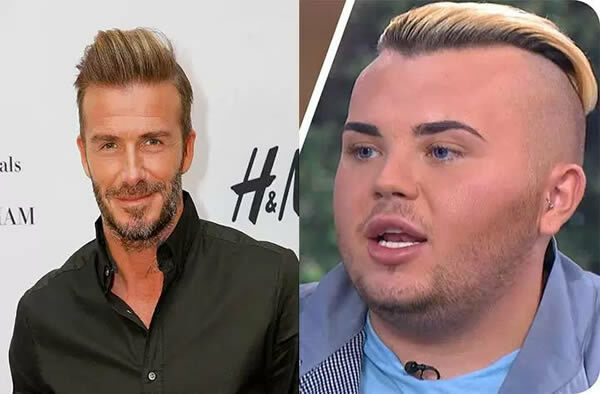 Jack Johnson wanted to look like Beckham, but for Twitter users he ended up looking more like Un. Still, he has a long way to go so, so he might be in the process of completely transforming. In the future he would like to become acquaintances with celebrities such as Simon Cowell and Beyoncé. I guess he wanted to be born again and somehow managed to pull it off, thanks to a team of plastic surgeons and tons of makeup! 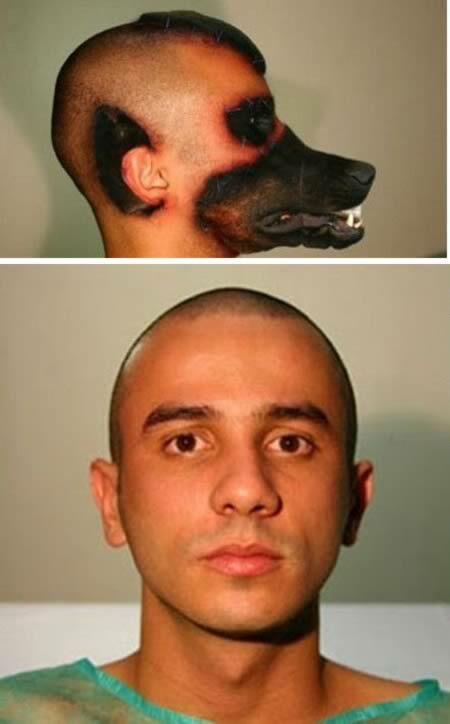 This family loved their dog, but funnily enough, they loved the dog from the movie The Mask even more, so they decided he should get surgery to look like him. 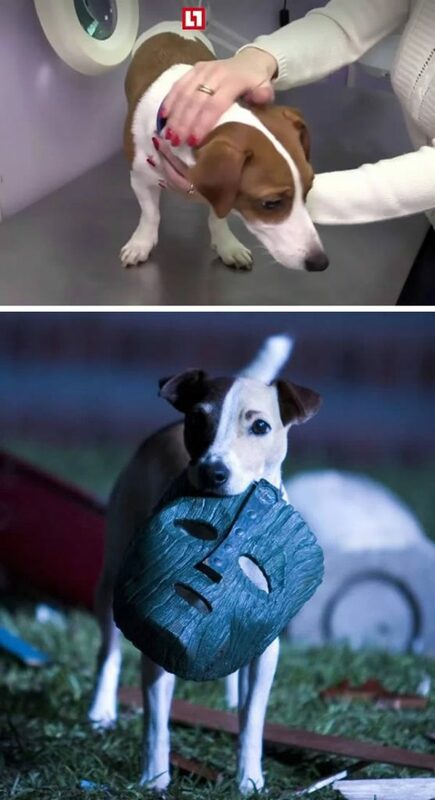 They got surgeons to lower his ears in an attempt to look more like Milo, the adorable pup from the movie. You can imagine just how pissed social media got after the story went viral! 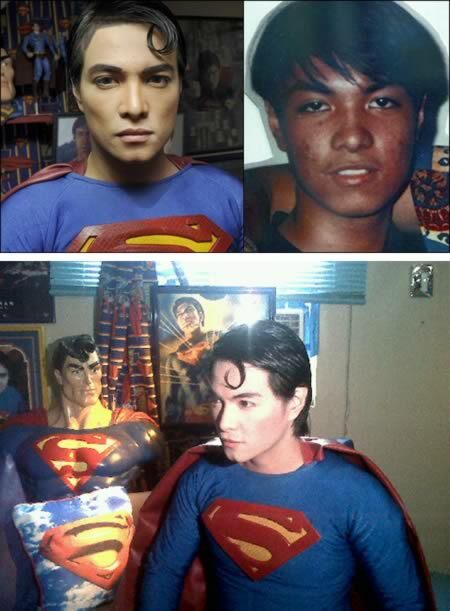 Herbert Chavez has been undergoing surgeries for a whooping 16 years now to look like the Man Of Steel himself. Talk about perseverance! One thing’s for sure, the before and after images are shocking to see and show quite the change on him. 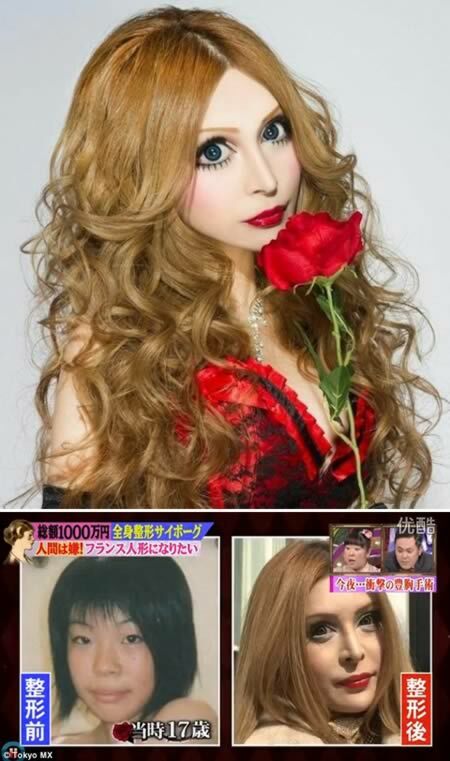 Japanese model Vanilla Chamu spent thousands to look like a French doll and evidently, she got what she wanted! I mean, look at her! The skin is just like porcelain-perfection and she has begun to acquire that western look she always dreamed of. An unknown Brazilian man has taken his love for dogs to the extreme. So much so that he has undergone surgery to have a “dog face.” How much are you willing to sacrifice for your love of animals? Justin Jedlica has spent over a decade trying to look like Ken, Barbie’s famous boyfriend. 90 procedures later, he managed to look fascinatingly plastic and gorgeous. Hey, if you don’t have it, buy it! Valeria Lukyanova has found herself a twin with the same obsession: to become real life Barbie dolls. Olga Oleynik is her “partner in crime” and apart from looking like Barbie girls they give spirituality talks as a side gig. Life in plastic is fantastic, or so they say! 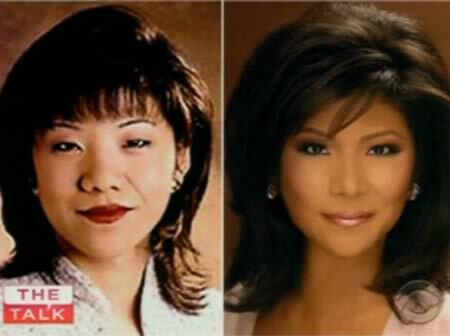 Julie Chen, the 43-year-old Chinese-American news anchor, revealed that in the beginning of her career she got plastic surgery to make her eyes look bigger. Chen discussed the surgery with her parents, and with their support she went under the knife. Myla Sinanaj’s obsession with Kim Kardashian began when she started to be called the “fat” version of Kim. So now she’s going to undergo different procedures to lose the fat and look more like the original Kim. We, on the other hand, think she looks banging as she is!